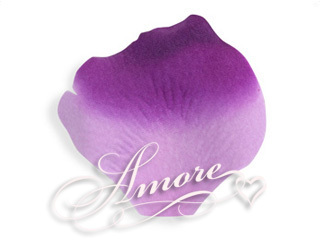 This petal has lavender on the bottom with gradation to deeper purple on the top of the petal. Very rich and velvety look. Perfect for a social occasion or an extravagant bath. High quality silk rose petals. NO small or sheer petals. Petal size is 2 inch H x 2 1/4 inch W.